She asked Justice Saliu Saidu to declare that the freezing of her $20m bank accounts and those of her relatives by the anti-graft agency as a gross violation of her rights to fair hearing and to own property. Mrs. Jonathan asked the court to rule that the ransacking of her family property by the officials of the EFCC was illegal and also demanded the payment of N2bn in damages. The plaintiff through her counsel, I. 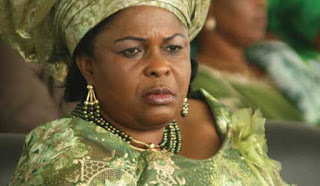 A. Adedipe (SAN), had prayed the court to restrain the EFCC from infringing on her right.